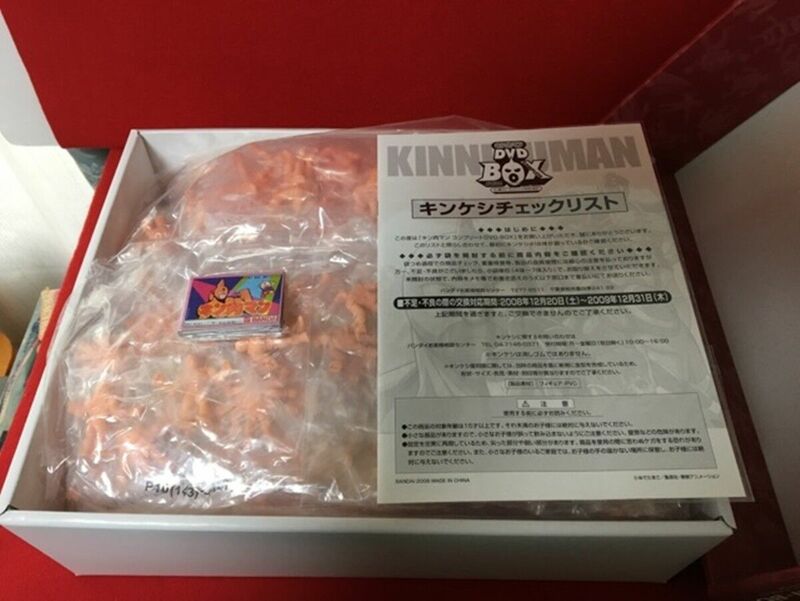 I just got the Kinnikuman Kenkeshi Box off eBay and it came with a larger book, but it's missing the other small books/papers that i've seen shown in other pictures of the set. Has anyone scanned them, or have more info on what they are. I'd be interested in seeing what i'm missing in more detail. Thanks in advance! Edited by Pustule, 18 January 2019 - 05:35 AM. just found a photo online showing the covers of the little booklets, does anyone happen to have scans of the contents? I presume that you bought the Kinkeshi re-issue box which came with a booklet showing all 418 figures. The little colour booklets that you refer to are from the original 30 part Kinkeshi series which were issued in Gashapon machine capsules, each capsule came with a figure and little fold out leaflet within. These are now not easy to come by and occasionally show up on Yahoo japan...be aware they can be expensive to obtain from Japan. They are reprints of the booklets you would find inside each Kinkeshi capsule. Each wave, or part, has a corresponding pamphlet that contains info about the figures in that set, checklists of all the figures released to that point, etc. Basically, they are companion pieces to each part, as well as advertisements for what other figures you might get if you pumped more coins into the machine. Kinkeshi capsules still come with pamphlets to this day, as far as I know. Interests:muscle, street fighter, combat sports, pro wrestling, taxidermy, hard drinking and being an all round good egg! These are great! I've always liked the old school artwork. Thanks so much for sharing.